I've busy working on Christmas projects, which means that it's been very quiet here on the blog. I can't show you what I've been making, but if you follow me on Instagram, you'll certainly see a few little sneaky peeks. In between the Christmas stuff, I took a few hours off to stitch up one of my favourite little designs, and create something for a friend. I really hope that she likes it. I used 12wt Aurifil cotton - some sections are stitched with 2 strands and others are only 1 strand - I like the look of the thicker and thinner lines. 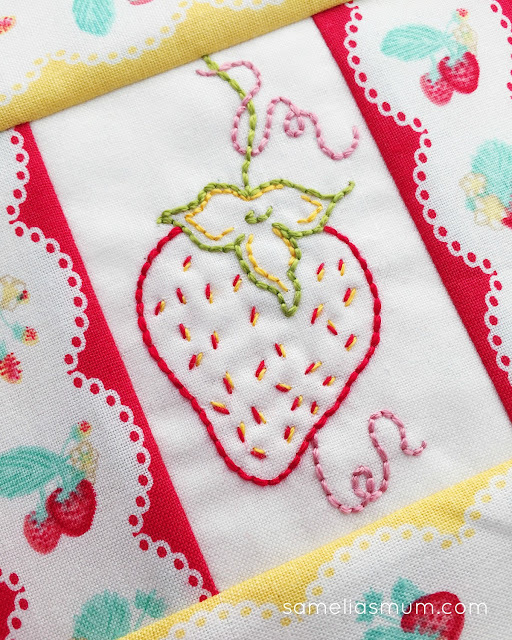 This basic strawberry design is one of my free downloads over on Craftsy - rather than the 2.5" pincushion on the pattern, I stitched this up and then added 1.5" strip borders... which are strawberry prints (of course). The strawberry print on this new pincushion is called The Shabby Strawberry by Emily Hayes for Penny Rose Fabrics and honestly, it's just delightful. My friend likes strawberries, now I hope that this gift it's TOOOOOOOO strawberry-ish. I love strawberries both to stitch and eat. Love this cute design and yes the fabric is gorgeous. 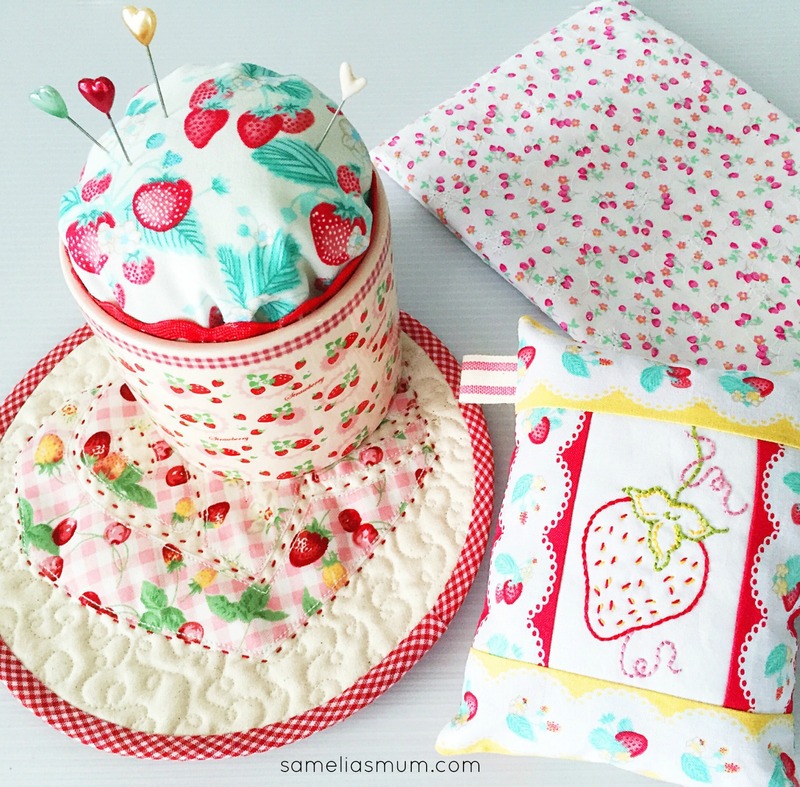 Love this DIY and really thanks for your sharing!